Aquaman trailer 2 is now out, and it has given DC movie fans a much more extensive look at the epic story of how Jason Momoa's Arthur Curry becomes Aquaman, the new king of Atlantis. In order to get to the throne, Aquaman will have to beat rogue forces of Atlantis united under his half-brother, Orm (Patrick Wilson); a vengeful mercenary called Black Manta (Yahya Abdul-Mateen II) and his soldiers; and of course, the horrific sea creatures known as The Trench. The Trench first appeared in DC Comics' 2011 reboot of Aquaman, as part of the New 52 storyline. These monsters were actually former humanoids of ancient Atlantis, until the kingdom first sank into the ocean and was split into seven pieces. Three of those pieces became underwater kingdoms: The main city of Atlantis, the penal colony of Xebel in the Bermuda Triangle, and a final part that sank deep beneath the Ocean floor and was seemingly lost. While the Atlanteans of Atlantis and Xebel evolved to survive underwater, The Atlanteans lost in The Trench were mutated into monsters that could survive in the deepest and most brutal part of the sea. The Trench eventually find their way (or are led) up to the surface, where they consume everything living thing, like a swarm of sea-locusts. 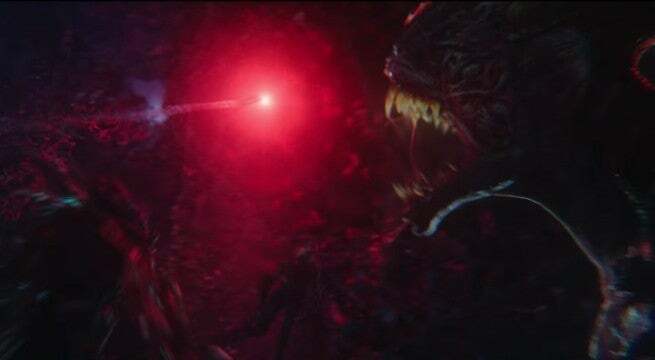 In this Aquaman movie, it seems the Trench could be a secret doomsday weapon for King Orm, kept secret from Arthur Curry / Aquaman until the climatic battle. 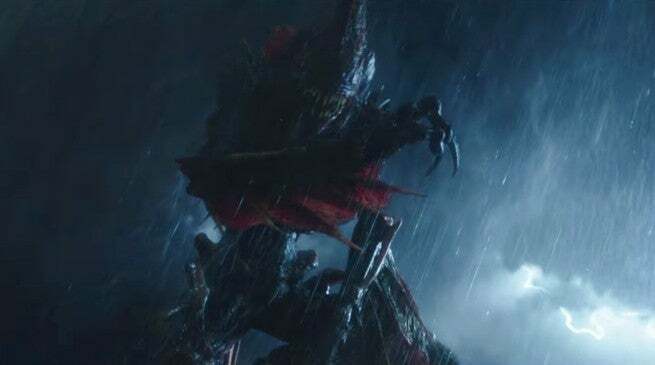 We first got looks at The Trench creature designs thanks to some Aquaman merchandise that leaked, but the sequence featured in the trailer is truly terrifying. True to form, The Trench act like a swarm of locusts or ants, running over that massive battleship (which is presumably a bad end for any sailors onboard). Arthur and Mera (Amber Heard) will apparently have to use a signal flare to lure The Trench back into the depths, which will be a gauntlet that will probably leave some viewers with nightmares about what may be waiting in the depths of the ocean. If nothing else, the creatures and the sequence they're featured in make it clear why James Wan (Insidious, The Conjuring, Saw) was a good choice for this movie. The fear that The Trench will bring (particularly to younger viewers) is too real.